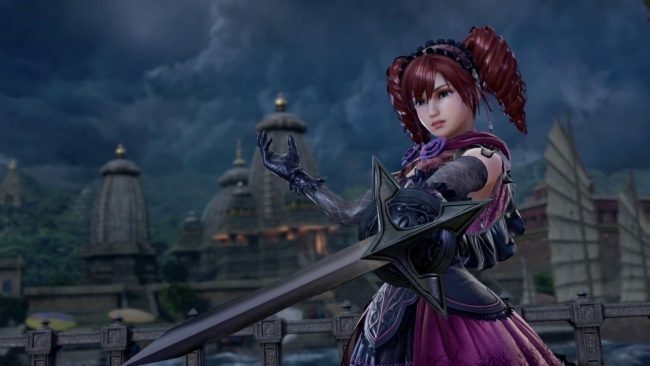 After a supposed release date was leaked for the newest SoulCalibur VI DLC character, Amy, we were quite sure we’d be getting to play as her soon. (This followed her official announcement back in February.) Now, Bandai Namco confirmed via Twitter that Amy would be releasing for PS4, Xbox One, and PC on March 26, 2019. You can grab her à la carte for $5.99. Or, you can get her as part of the season pass, which will run you $29.99. The second one is recommended if you are planning on getting all additional characters. If you have the season pass, Amy will be included, along with four extra characters and two customization item packs. This comes out to six DLCs overall. Amy will be the third paid DLC character, following behind Tira and 2B from Nier: Automata. Amy made her first appearance in SoulCalibur II. One day before she appears, on March 25th, the game will see an update in the form of version 1.30. This will add customization parts for Amy’s outfit and hopefully more improvements. We really liked SoulCalibur VI here and praised its robust character creator, lengthy single-player options, and the game’s Reversal Edges, which add a strategic element. Check out our review here. Are you looking forward to playing as Amy? Let us know in the comments!